Have the Best Corporate Event Transportation in St. Catharines Today! Corporate events are a key component in the development of businesses and large organization relationships. Corporate events build morale and social connections amongst all the employees of an organization. At St. Catharines limousine services we have all your transportation needs covered for your special corporate event. 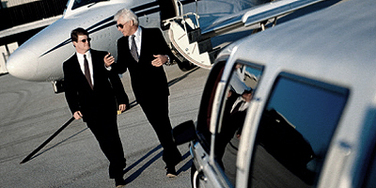 Whether it’s your executive team or your entire company we have the fleet to be able to accommodate your needs. Ride in top-quality limousines or party buses for added entertainment. Your experience will be unmatched by the quality transportation and experienced, friendly chauffeurs who are at your service. Whether you're planning a small dinner, company picnic or weekend getaway destination for your corporate event, we have what it takes to make it happen. Our fleet ranges from classic limousines, executive cars to multiple party buses ranging from 20 all the way up to 40 people. Your entire organization will ride comfortably in style with top amenities, including on-board drinks, quality leather interiors, lighting and our well trained and friendly chauffeurs. For team building activities we recommend making our limousines part of that experience. Taking your company out in exclusive high-end limousines to your destination and letting every employee experience the quality and sophistication of a luxurious ride will communicate your values and priorities to them. Add some fun by celebrating with onboard drinks and music while driving. Allow social interaction to enhance relationship building as they interact with one another. With St. Catharines Limousines you are able to help develop their relationships not just in a work environment, but in a more intimate and care-free environment. Forget about all the details of your route and any extra cargo needs for your corporate event. Leave all those details to us—our vast experience will prove to be valuable from scheduling and re-scheduling, planning itineraries, luggage, special cargo or extra equipment. We will be able to handle all your needs and will arrange other transportation to assist with cargo, if necessary. All the while, sit back, relax and enjoy the ride to your corporate event with St. Catharines Limousines! Corporate Limousines & Buses today!